​Fast emerging at the forefront of a new generation of artists, Alex Brown is mightily armed with the technique of jazz tradition, reinvested with fresh curiosity and vision for what jazz is, and can be. Featured in the January 2010 issue of Keyboard Magazine, Brown’s reputation continues expanding via his notable performances with everyone from innovative saxophonist Miguel Zenón to the legendary Wynton Marsalis and the Lincoln Center Jazz Orchestra. In 2007 he joined the group of the renowned Paquito D’Rivera, sharing in the ensemble’s 2010 Grammy nomination as a part of D’Rivera’s album, Jazz-Clazz. In addition to touring with D’Rivera, Brown performs regularly as the leader of his own jazz ensemble. Classical, rhythm & blues, hip-hop, Afro-Caribbean and Brazilian styles all co-mingle naturally and infectiously in Brown’s music, reflecting his unique path, and the continued evolution of the genre. It was D’Rivera’s bassist, Oscar Stagnaro, who was among the first to recognize Alex Brown’s special gifts, and began to gig with the young student around Boston. Stagnaro also hipped Brown to the depth and breadth of Latin-American rhythms. During an impromptu 2007 performance at Washington D.C.’s Bossa Lounge as part of the DC Jazz Fest, Stagnaro invited Brown’s soon-to-be mentor, Paquito D’Rivera, to hear him for the first time. Brown has performed at some of the world’s top jazz venues, including Jazz at Lincoln Center’s Rose Theater, Dizzy’s Club Coca-Cola, Birdland, the Blue Note, Blues Alley in Washington D.C., and Mexico City’s Palacio de Bellas Artes. His festival appearances include the Heineken Jazz Festival, Israel’s Red Sea Jazz Festival, the Panama Jazz Festival, and the Curacao Jazz Festival. He also teaches and has led master classes at institutions including the University of Panama. 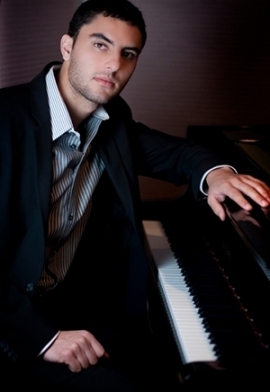 In 2009 Brown graduated with a Bachelor of Music from New England Conservatory where he studied with Danilo Perez and Charlie Banacos, among others. His collection of notable awards began with and ASCAP Foundation Young Jazz Composer Awards in 2003 and 2004. In 2007 Brown was a winner in the Jazz Soloist category of DownBeat Magazine’s Student Music Awards. Also an accomplished classical musician, Brown has recorded and performed with the group Imani Winds as well as with the clarinetist Sabine Meyer, and has performed with major orchestras in the United States, Mexico, Chile, and Spain. Looking ahead, Alex Brown’s horizon is one devoid of barriers—musical or otherwise. Having recently completed his first commission for full concert orchestra, Brown plans on doing more large-scale arranging and composing. Alex Brown is a Yamaha artist.